Welcome to Hampshire Data Recovery Services - Your local home and business data solutions specialist for data recovery, hard drive recovery and hard drive repair, server & raid recovery and disaster recovery in the Hampshire area. We can offer a FREE same day collection service on your failed media and have a diagnostic with you within 24 hours of collection. We can offer tailored recovery timescales from emergency and same day service levels through to the standard 5-7 day service. Regardless we are confident that you will get your lost data recovered with our help! Data loss disasters are never welcome but when they do happen you need to get local help and advice as soon as possible to ensure the best chance of successful data retrieval. Hampshire data recovery offers a local & nationwide service with world class data recovery technicians experienced in a wide range of data recovery disciplines from basic software based data file recovery to computer & server recovery, Mac data recovery and even advanced recovery down to chip level for Flash NAND based devices including SSD data recovery (solid state disk drives). With access to what is considered the highest quality certified data recovery clean room and R & D facilities in the country for complex recovery situations our experts will ensure that your data is recovered as fully and securely as possible and in a timely manner. 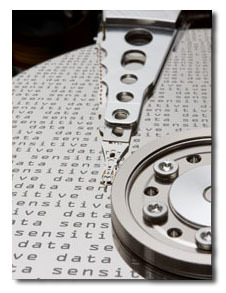 As a one stop data solutions provider we deal with data solutions stretching from USB memory stick recovery, file data recovery and hard drive repair, to raid data recovery and disaster recovery solutions as well as the provision of UK based online remote data backup services with remote data centre server replication. Lost and deleted files are often quite recoverable and restoring deleted data is generally very successful. Hard drive recovery may be required due to a number of different causes which can either result from file corruption (logical failure) and mechanical failure. If your drive is suffering from mechanical failure then our team are experienced in both simple and complex hard drive repair techniques in a clean room environment, and have access to an extensive stock holding of replacement hard drive components enabling a quick turnaround on hard disk repair in a majority of cases. Our laptop recovery service is fully experienced in laptop recovery including Macbook and Macbook pro, equally we are fully conversant with data retrieval from the latest solid state drives which are becoming mainstream in high end mobile computers. Disaster recovery planning is becoming critical to business continuity and down time caused by mission critical data loss or server failure can cost a business tens of thousands in loss time or lost data. Hampshire data recovery services are not only fully experienced in the common forms of raid (raid 1 recovery, raid 5 recovery and raid 10 recovery) but also in many of the rarer raid configurations. With experience in Unix and Linux file formats, Microsoft exchange recovery and other uncommon and less known database formats Hampshire data recovery services aim to restore your database as fully as possible. Hampshire Data Recovery provide services for iMac recovery through to MacBook / MacBook Pro or Air data recovery and also X-Serve and X-Serve RAID systems. As pioneers in flash data recovery techniques our team are able to offer pen drive recovery, USB memory card recovery and pen drive repair as well as recovery from XD cards, CF Cards and SD cards including digital photo recovery. Even if you are unsure of which data recovery services you may require, bear in mind that the above forms only part of our data solutions capabilities. If you have a data loss emergency or a lost data enquiry give our hotline a call to discuss your requirements and we will be able to advise you accordingly.